Available in Domestic 190g and 450g and Imported 230g. Nº 1 Cheese in France is now available in Canada! Available Brie wheels imported directly from France or freshly made by cheesemakers in Canada using the same tradition and passion for excellence. 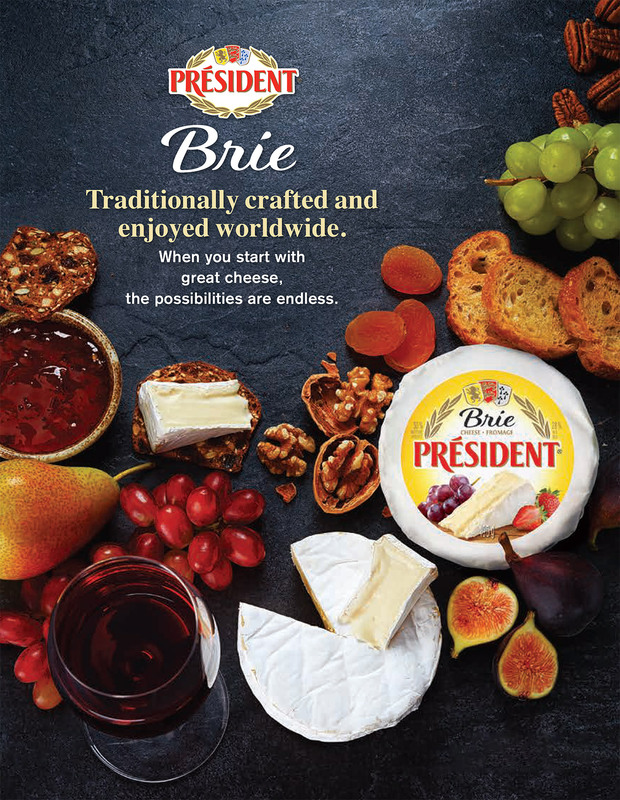 With its unique combination of flavour and texture, Président Brie will delight you with its complex ‘earthy’ aroma, white bloomy rind and creamy soft texture. 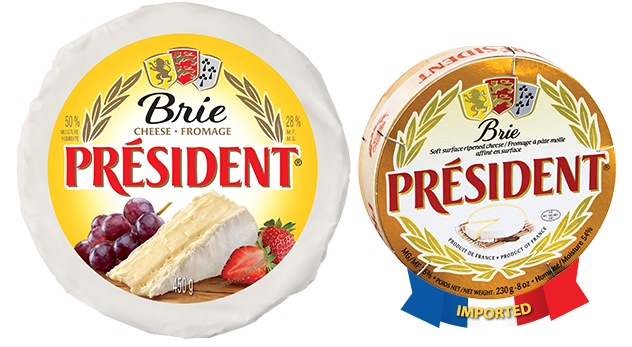 Président Brie is a staple at any gathering. As one of our most multifaceted cheeses, add it to a cheese plate, bake it for a warm snack or include it in a torte to complement the sweetness of fruit.